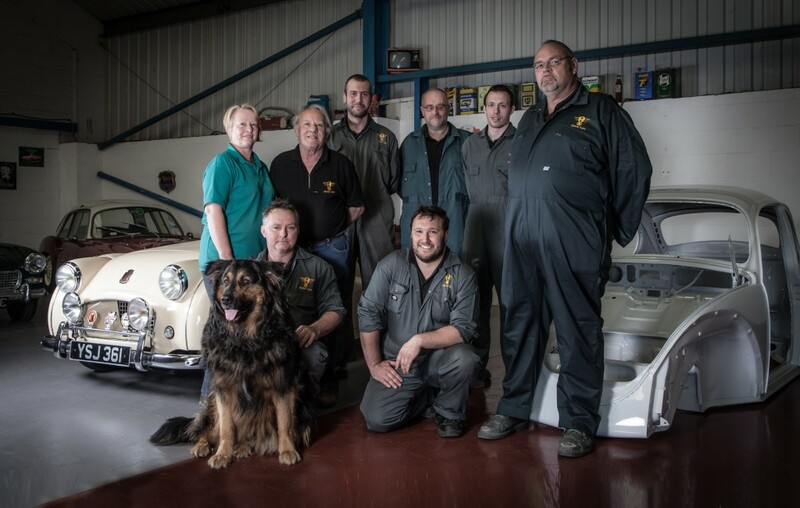 We are pleased to have an established group of staff working with us, all of whom are passionate classic car enthusiasts with the technical skill to back it up. Owner & genius with the welder, panel beating hammers & paint spraying. Steve has over 20 years of experience in the car restoration field. Whilst working on ‘modern’ cars, he started off by helping his Dad – Lawrie Green at home with his recently aquired classic TR2. From that moment on, Steve had fallen in love with classic cars and his future was set in the world of classic car restoration. Mechanic and fount of much knowledge, Lawrie Green is perhaps responsible for RBW Classic Cars. Lawrie is an experienced Routes man and when he bought his lifelong dream – a classicTR2 home to work on with his son – Steve – ignited the spark of passion that led Steve Green to dedicate his career to the restoration of classic cars. Rob came to us on the Heritage Lottery funded training scheme, and he specialised in bodywork. He is an expert in welding and body forming and has extended his skills to jig work and fibre glassing. Mechanic, Jim came from a previous life as an MOT tester and mechanic with a hobby that was based on classic cars. Working alongside Lawrie he is quickly becoming expert in older car mechanics, including the use of our Crypton Tuner. Jim is a Stag & Beetle enthusiast. Our blaster – Callum’s skills in the blasting department are second to none! Top security dog and general meeter, greeter and motivator.